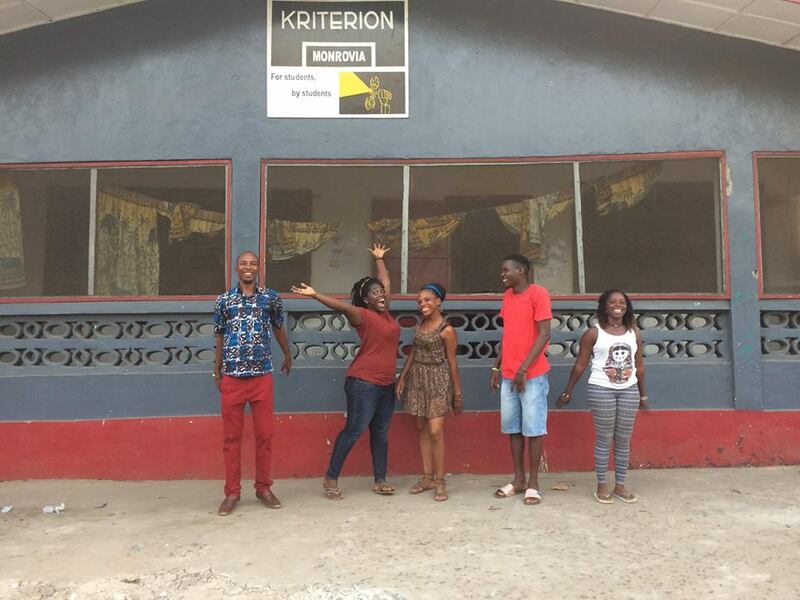 During the first days, the Kriterion Monrovia team took us on a tour through the city, during which we learned more about the history, politics and culture of Liberia. 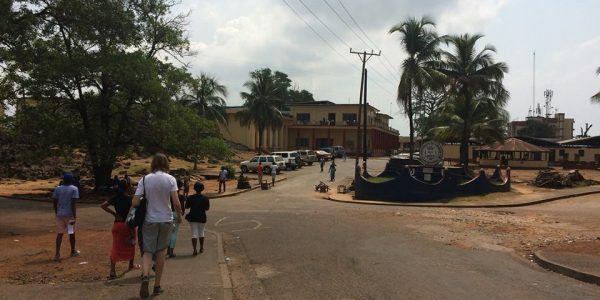 We’ve spend several days on the campus of the University of Liberia, with around 20,000 students. 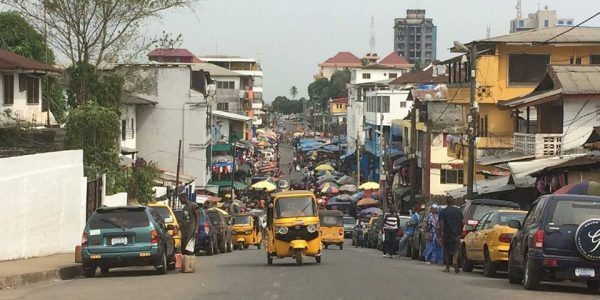 We have interviewed many students and were impressed by their passion to contribute to the rebuilding of their country, which is currently recovering from the civil war and the ebola crisis. Life in Monrovia is challenging. There are no parttime jobs for students and tuition fees have increased over the last couple of years. Students are relient on grants or family contributions. During the interviews, students expressed a great need for a place like Kriterion and were eager to become a part of the project. Besides a place to work, Monrovia is also lacking a place for students to hang out. Besides the challenges they face everyday, Monrovians seek out for fun and recreation. At night, the streets are filled with dancing crowds and one can find a DVD-shop or a videoclub on every street corner. 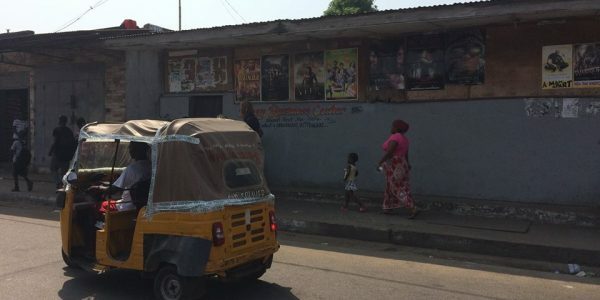 Liberians are true film fanatics; especially films from Nigeria (Nollywood), India (Bollywood) and the U.S. (Hollywood) are popular. The video clubs are cheap but uncomfortable and the supply is limited. We experience how uncomfortable wathing a movie in a videoclub is, when we try to read the subtitles of a Bollywood movie while we sweat our asses of from the wooden benches. One of the female students tells us that women don’t like to go to the video clubs because men take their shirts off and stretch out on the benches with their sweaty bodies. On the other side of the spectre is the anonymous entertainment centre Destiny, where one can watch a self-picked movie on a large tv screen for 5 USD. 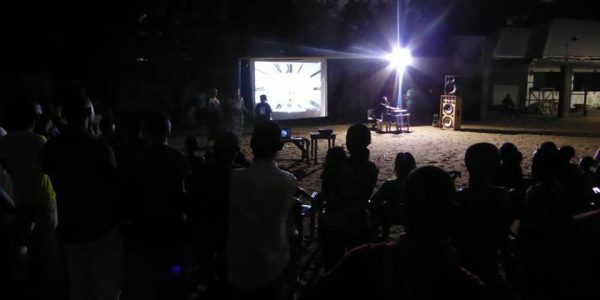 The need for a cinema is emphasized during the community screening, which the Kriterion Monrovia members have organized for the occasion of our trip. The soccer field behind their office is easily turned into an outdoor cinema: just put up a white cloth on one of the goals and put down some plastic chairs. Logistics manager James clearly has done this before and quickly sets up a large soundsystem and movie projector. Soon, the field is packed with curious visitors and more are about to come as the dancers from Flomo Theatre Productions start their performance. Rapper and Kriterion member Scofezo enters the stage and gets the crowd in the mood for the movie to begin. Charlie Chaplin’s Modern Times turns out to be a great succes, as the audience cheers and laughs at his silly adventures. Watching a movie in Liberia is nothing like watching one in Europe, where one is expected to be silent. The community screenings are a great succes and a good way to promote Kriterion Monrovia. However, in order to provide students with jobs and to create a permanent place for entertainment and culture, Kriterion needs a location. During our stay, we have visited six possible locations, of which three are good options to take into consideration. We have been advised to construct a building from the bottom up rather than renovating an existing one, as this is a difficult and expensive proces. On top of that, many buildings in Monrovia are in a bad state. 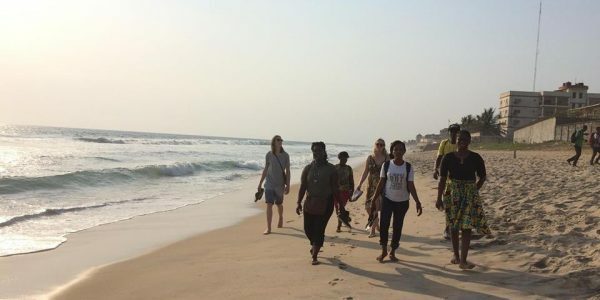 With the help of Engineers Without Borders and a number of local advisors, YUA and Kriterion Monrovia will soon choose the best possible location. Our ambition is to start the crowdfunding campaign in the Spring of 2017, which will be launched in the Netherlands, Liberia and the U.S.
You can find all the photos of our trip here! WE WANT ARTHOUSE CINEMA IN MONROVIA! Do you want become a part of this project? Follow us on Facebook and Instagram and keep on eye on our website and newsletter. Your support is very helpful to us and the students of Kriterion Monrovia!